A lot of love went into this typeface, and I hope ya’ll enjoy it! 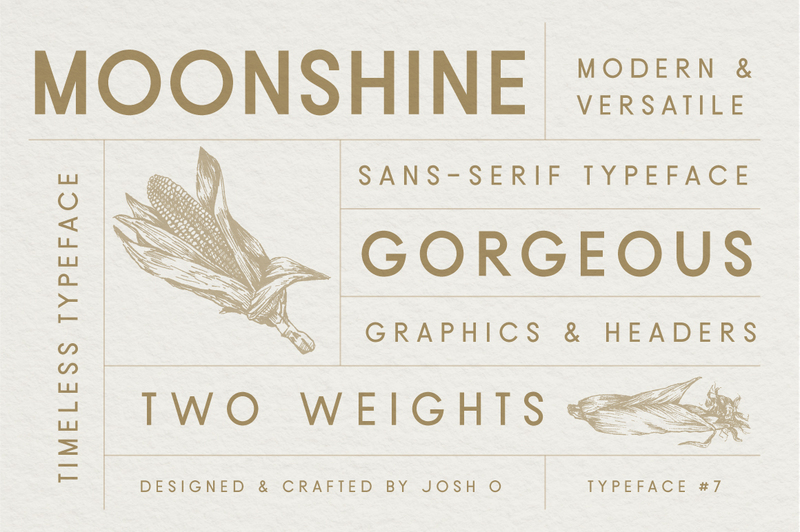 Download Moonshine today for your next project. A font family published by jlownby on Saturday, April 15th, 2017 that has 1,955 views so far.